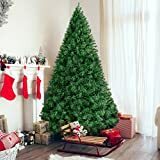 Did you ever notice how a Christmas tree is usually placed in the corner of a room, but with it's wide diameter, it still ends up taking up a great deal of space? Since you never really see the backside of the tree anyway, why not just eliminate that side of it? 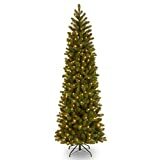 Well, that's the idea behind the cool new 7-Foot Pre-Lit Corner Christmas Tree. 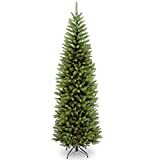 Like the ingenious Upside-Down Christmas Tree before it, this cool new faux Christmas tree is uniquely designed so that the tree will fit nicely right into the corner of your room. On the plus side, it means less decorating, more space and it's easier to store, but unfortunately it also means there's going to be less room for presents. Sorry kids.